Hey everyone, it’s Medicine Mondays again… but it’s Cyber Monday… so today will be “Cyber Monday Musings”. First of all, I’d like to apologize for the recently infrequent posts. For some reason this year I decided to be really lazy for Thanksgiving/Black Friday and pretty much not to do anything. Part of this may be because I had to work on Thanksgiving and just forgot in general about writing a post for Friday. Also, please forgive this late post today. I promise to get back on to a regular schedule starting Wednesday. I promise. I’ve been eyeing these headphones for awhile now. I think they’re a good blend of value and quality. A few guys at work have them and listen to music or podcasts while they work, and they seem to very comfortable. However, the normaly $349.99 MSRP is pretty hefty. They aren’t discounted very often, so $299 is probably the best you’re going to see for awhile. Like the Bose headphones, I’ve been eyeing the Porsche for awhile now. The idea is that I’d buy it and hold onto it until my kids are old enough to build it with me. However, like the Bose headphones, this is $299.99, which is a lot for LEGO. However, the Deal of the Day dropped it down to $199 for a limited time, so I did give it some consideration. I am normally against buying my daughter more dolls. However, this one went on deal on Amazon for $69.99. ~$70 for 12 dolls, is around $7 a doll for every Disney princess. That’s a pretty good deal I think. As I type this, the deal ends in about 5 hours, maybe 4 hours left by the time I post it (~midnight PST). So if you think it’s a good deal, don’t wait too much longer. Is that all you did today? In reality, I didn’t really do much shopping today. Today I did more of a house project. Yesterday we cleaned up the family room, put up the tree and decorated it. The kids had fun decorating and are of course excited about Santa Claus. My son, who has no concept of time, thought we were supposed to put up the tree and wait for Santa that night. We explained to him not yet, and he seemed ok with waiting. Before I continue, I must remind you that I am the complete opposite of a handyman. I have a bunch of tools that I keep around “just in case”, but I’m not very handy at all. So then, back when I was a kid, my dad and I hung hooks on the inside of the eves of the roof on our house. I remember my dad telling me that putting in the hooks the first time will take a long time, but it will be much, much easier to put the lights on every time after that. Putting on the hooks the first time took a long time. Then to put the lights on after took the better part of an afternoon. However, every year after that, hanging the christmas lights on the house probably only took 30-45 minutes, and the majority of that time was untangling the lights. So, in an effort to be like my dad, I did my best to install my own hooks today with the help of my friend. It took a little more work than we thought. Going to the hardware store nearby didn’t have a ton of the hooks I needed, so I just bought whatever they had and tried to make them work. Luckily, even with one defective hook (didn’t have thread), and one broken one (broke off as I turned it), we managed to get all the hooks up. It did require me to break out my power drill for the first time, but overall, I think we did ok. So tomorrow I’ll head out and get the lights. 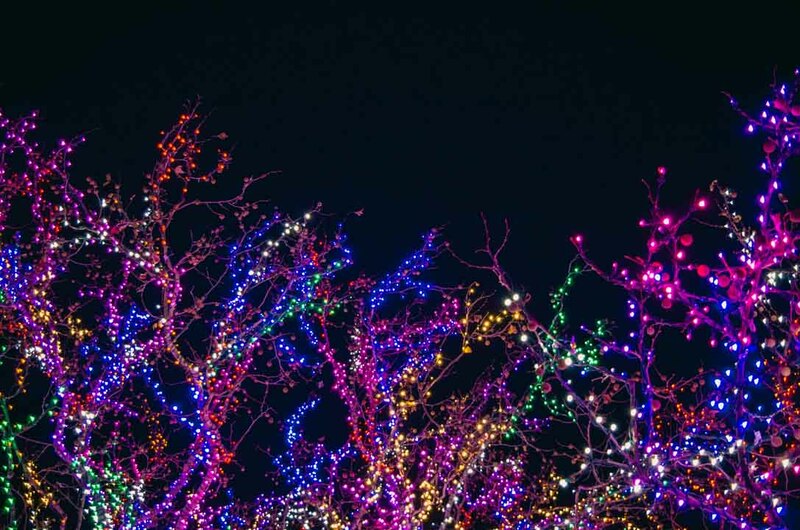 The plan is to have two strings of lights, the normal rainbow color large bulbs (like this), and then the blue icicles (like this) that will hang down a little more. In my head, that seems like it’ll look nice. Then the plan is to surprise the kids after dinner tomorrow. … but I mostly spent the day trying to get my house Christmas Lights ready.